Shiv Dhawan was born in Kolkata (India) on 25th November 1961. He completed his Baccalaureate (with Honors) – first class first from the prestigious St. Stephen’s College, University of Delhi. Having secured a first class first again in his Master’s programme he obtained his Ph.D. in socio-political philosophy from the University of Delhi in 1993. He has been a management consultant for last 25 years working in the sphere of organization and people transformation. He has also been a distinguished faculty for behavioral sciences in several well-known management and training institutes. Having worked out of India, China, Bhutan, Sultanate of Oman, Canada and the USA, he has been closed associated with people of different ethnicities and work styles. 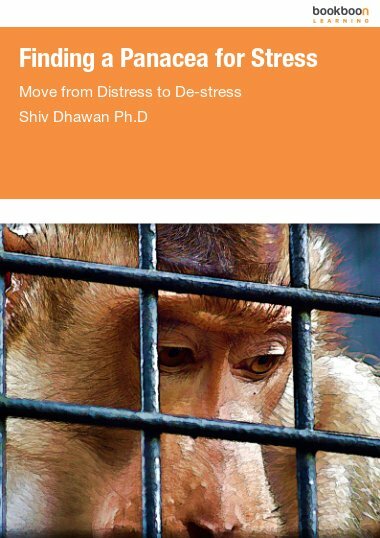 Having observed different work styles and the way different people from varied geographies react to adversity he has combined his empirical experience with his philosophical insights to evolve training and sensitization programmes for stress management. These have been targeted at shop floor as well as senior executives across a number of domains. In his own capacity Shiv has had a very colorful life where he has been surrounded and attacked by a pride of seven ferocious lions in a game reserve as part of his professional engagements and not lost his sangfroid or been stressed for a micro – millisecond. He has also been through a couple of crash landings, and lived through ethnic riots. Having recently lost a million rupees in business literally overnight he still managed to retain his sunny demeanor. He has dissected all his personal experiences to understand how he survived the stressful situations and many of the suggestions contained in the book have actually been tested on himself and his close acquaintances thus proving that if they can work for him and his close friends and clients they can work for anybody. Shiv currently lives in New Delhi with his mother Gajinder who is a reknown pranic healer, wife Sareena who is a school teacher and two children Madhav and Chandni. Besides writing, he loves collecting antique wrist watches, listening to ballroom dance and waltz music especially La Paloma and The Blue Danube and unwinding through swimming in his favorite weekend haunt of the Delhi Gymkhana Club. He can be contacted on shiv.dhawan1@gmail.com.